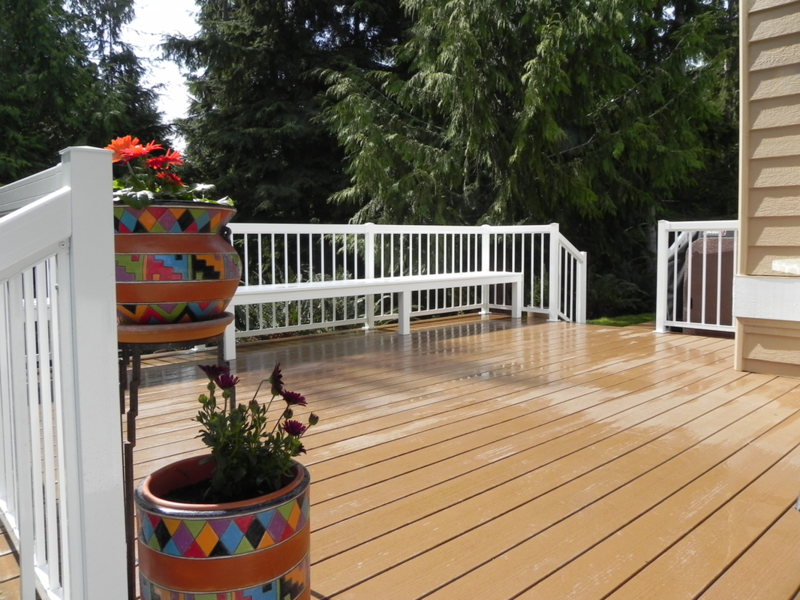 Great decks or outdoor spaces begins with thirty years of designing and building experience. Combine all this with the best highly skilled labor and a premium low maintenance decking material like Wolf PVC Decking and you have set the table, or fired up the BBQ, for years of low maintenance outdoor living. Add the security of knowing that a Certified Wolf Pro Contractor installed your deck and provided you with an industry exclusive Five Year Labor warranty backed by the manufacture of Wolf Decking. If you dare to take the quality of your time spent outdoors to the next level. 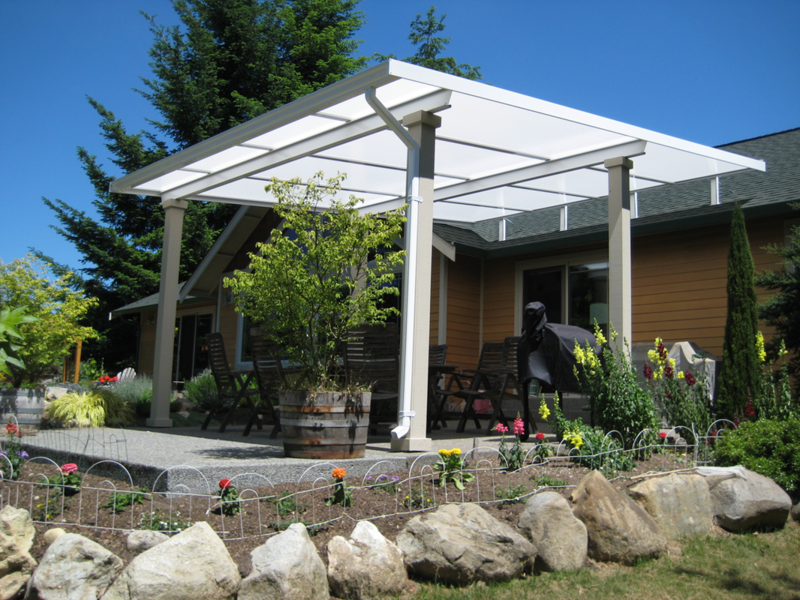 Cover your deck or outdoor space with a premium quality powder coated aluminum and acrylic patio cover. No matter what the day may bring; whether it is the hottest day of the year, or raining in the northwest, you will always be comfortably protected from the elements. Your outdoor furniture will be clean, dry, and ready for you to spend quality time with your family and friends all while bringing soft filtered light back into your home. 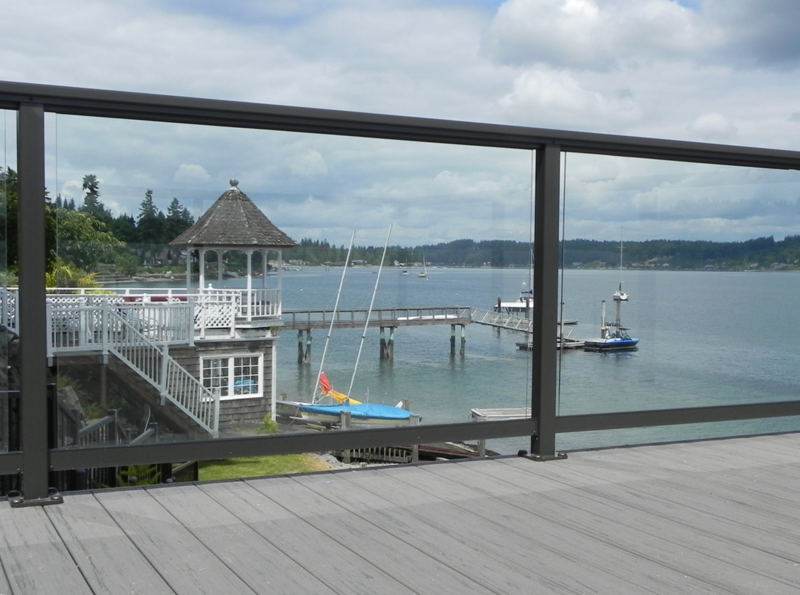 Decks and Patio Covers in Kingston provides custom composite deck and patio cover designs, sales, and installation. Our general contracting services are available throughout the Greater Seattle and West Puget Sound local. By choosing to work with Decks and Patio Covers you will have a seamless home improvement experience and the outdoor living space you have always wanted.